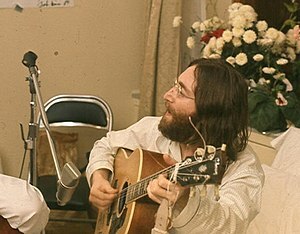 “Living is easy with eyes closed, misunderstanding all you see”. John Lennon. We are living in strange times indeed. So many people clutching at ‘normal’, holding on to their lives, their jobs, their beliefs and principles while all the time sensing, coming from deep within life itself, change on a level unimaginable. And so we have the first of life’s great anomalies. We live normal lives in abnormal times, we hang on to what we think we know when what we know is being revealed as false. We live lives of half truths and misperception, and take our misperception for truth. It is a dangerous weapon to carry. And, for whatever reason, partly because the internet has jettisoned humanity to a new level of awareness and connection and knowledge, and partly because the evolutionary impulse itself is causing growth and expansion of life itself, the global community finds itself seeking new and greater freedom. People want freedom. They want to live how they want. Freedom of choice, freedom to believe what they choose. Personally, I think its deeper than this external expression. I believe the human mind itself is yearning for transcendence, longing to remember it’s true divine nature as consciousness. This impulse IS the impulse for freedom from tyranny, but it’s freedom from the tyranny from the ego it is seeking. And it falsely seeks this by looking outside itself at the world. BUT…YOU CANNOT BE FREE ON THE OUTSIDE UNTIL YOU ARE FREE ON THE INSIDE. So on one hand we have this deep desire within humanity itself to grow beyond the lies and and manipulation of the ego’s need for control, and on the other hand we have the ego itself, fearful and alert, seeking ever more cunning and devious ways to own, control and dominate you…FOR YOUR OWN GOOD! And that is the scenario playing out on the stage of the world. And it is exactly that, a stage. The outer picture we see is a reflection of the inner experience. We take it for real, and it is real. But it is only as real as our inner experience. And we mistake it for the whole picture. The fundamental problem with humanity right now is a misguided belief that freedom can only be found on the outside. We suffer from complete misunderstanding and misidentification. We are balancing opposites, within and without. The wise amongst us, spiritual masters, tantric teachers, and the true gurus, know this to be true. We balance our inner desire for freedom and the egos desire to control. The truth is we are the bowl that holds both polarities. The truth is we are the neither the desire for freedom nor the need to control, but the sky within which these two appear, and then also we are those desires. When we falsely identify with one desire or the other need, then we are prisoners, locked up by our own beliefs. This then gets played out on the stage of our lives and we take it to be real. Multiply this by many billions of energies doing the same thing and we have what we call REALITY, THE REAL WORLD, THE CURRENT GLOBAL SITUATION. Don’t believe a word of it. Don’t even believe your thoughts about it. Fear is the curse of humanity. It’s only true purpose is to open the door to love. We are chasing our own tail, trying to eat ourselves. When we wake up to see we are one body, one global body with 7 billion little cells, we will be utterly shocked that we could fight ourselves, harm ourselves, kill ourselves, oppress ourselves. When the bodies cells fight each other we call it cancer. When the global bodies cells fight each other we call it freedom and oppression. It’s blindness of a global order. You live in an amazing, glorious and vibrant invisible world with the most incredible family and community you could possibly imagine. Everyone loves you totally and there is no anxiety, no anger and no stress. It is perfect and harmonious in every way. You are content to dwell here forever, with no concept of time or space. And then one day you are told that you need to go to a strange land for a while to ‘learn some things’. You are told that you may well forget where you came from and all the love you were surrounded by. You think that is ridiculous, you could never forget your own true family, never forget all the love. But you are also excited by the prospect of this adventure. And then off you go to this strange new land and you arrive excited and wide eyed at the newness of it all. Pretty soon things start happening that create new sensations in you. You have a new experience of yourself and it takes some getting used to. You find yourself squeezed into something called a body, and it feels tight and restrictive, but seductive and entertaining. You have been assigned a new and very small family and they start to tell you stuff and treat you a certain way. They give you a new name and start feeding you strange new foods, but mostly they begin to fill you up with all sorts of ideas about who you are and what you are doing there. At first you just listen to these ideas, but as time goes by you begin to believe them, they are so insistent, and after years you forget whose ideas they actually are and begin to assume they are yours! You become so attached to the body you have been lent you actually begin to think it is you. You think you are the thoughts you are thinking, the emotions you feel and everything you believe. And you totally forget where you came from. You forget the bliss, the love, the vibration of joy. And you wander around this new place wondering what is missing but unable to remember. Your original family know this will happen to you, it happens to everyone who goes to the strange land, and so they send messengers to remind you. But you ignore the messengers and the message. You have totally forgotten where you came from and after years and years of this you are lost. You may be sick in this body package you have been assigned? Maybe you are wounded in the heart and cannot love anyone or anything? Maybe you feel there is no divine presence and so you feel alone and abandoned? And then one day it is all over. Your journey to the strange land finishes. And leaving becomes very difficult, you have become so attached to it, to the things you have, to the people you know, and to the body you live in. As you leave the strange land something begins to happen. Something inside you starts to remember something, and after what seems like no time at all you arrive back to your original home and the waiting and open arms of your ecstatic family. It is wondrous to be back in this bliss. This state of forgetting our true nature and becoming over identified with our bodies, emotions and thoughts has taken us down the road to exactly where we are now. Lost to our truth we have no Divine purpose, so we create purpose born from ego. This purpose has its roots in fear, separation and survivalism. It will always lead to toxicity and dis-ease. When we forget we are the same as each other, we come from the same place and are connected to the One Source, we experience a deep sense of disconnection and isolation. From an alienated place we make choices in life that do not always serve us or our brothers and sisters. We may become selfish and greedy, both traits born of fear, or we may become aggressive and warring, also born of fear. This sense of alienation leads us to reduce our human experience on Planet Earth to one of mere survival. And with no sense of Higher Purpose or true connection with each other or ‘God’ we wander lost and abandoned, wondering what it is all about. When the sacredness of life is absent, when we are not serving a higher purpose, we forget our common humanity, we forget to put love first, and instead we put ourselves first. When we all put ourselves first, we have the beginnings of war. How does this lead to toxicity? Until we remember our true nature and reconnect with our source, we live at the mercy of other forces. We are born into families, 99.9% of whom have forgotten the divinity and sacredness of life. As babies and children we are vulnerable and porous. We absorb others ideas and beliefs as though they were our own. We become ‘conditioned’ into our culture and ‘educated’ into our system. Emotions, unless they are allowed to flow through the body, become stuck as trauma and tension. Over time conditioning and trauma creates a rut in our lives. We develop habits and patterns, many of which are inherited from our parents and our conditioning. These habits and patterns are not always good for us. If we have any anxiety, anger, shame, depression, confusion, or stress we will, until we remember who we truly are, make toxic choices. The point is this: That toxicity itself, whether it is physical, emotional or mental, disconnects us from the true source of our power and goodness, the light. Starved of the light we begin to live in darkness. The story above is about this forgetting. We are given reminders by the divine all along our journey. These reminders come in many forms. For me it came by way of dis-ease. It can be anything that shakes us up and reminds us that life is precious. It asks deep questions of us. Who are you? What are you doing? Do you love yourself? Do you Know yourself? What is your purpose here on Earth? When I understood that what happened to me was not, as I first thought, the worst thing that could have happened to me, but the best thing that could have happened to me, I was shocked. It was totally the opposite of what I had previously believed. Do I regret what happened, am I angry for so many lost years and such confusion? Absolutely not! Everything that has happened to me, all the years in the wilderness, all the years of having to dig into my inner resources, all the physical pain and healing, have opened my heart more and more, have forged me as a Warrior and brought me to remember my true nature. Wherever you are at physically or emotionally, is the place you start from. Maybe you have been ‘graced’ already by dis-ease. Or maybe something has happened that has made you question who you really are and what you are doing? Maybe you just know that there is more to this than you first thought. We don’t all have to get ill to remember Who we Truly Are!